On May 31st, 2016, at 10 am, the El Dorado County Sheriff’s Office responded to a home off of Capella Drive in Diamond Springs for a report of an assault with a deadly weapon, with the victim being a girl under the age of 14 years old, and the suspect being an older male relative. Upon arrival, Deputies quickly determined that a resident at this location, 33 year old Luis Javier Calderon, had allegedly took a knife from the kitchen and went into a bedroom where the young girl was sleeping. Calderon woke the girl up by holding the knife to the child’s neck. Calderon had the girl stand, and made the girl remove all of her clothing. Calderon then photographed the child and threatened to harm the child if she said anything. Calderon then fled the house. The child immediately contacted her mother, who called 911. Several Deputies immediately began searching the area for Calderon. While the search was underway, Calderon called 911 from a business in the area stating he was being chased by unknown people. Deputies responded to the business and detained Calderon. 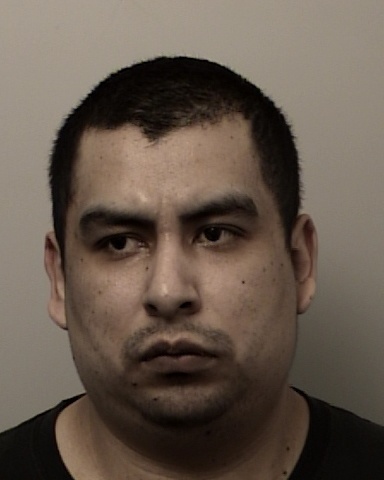 Detectives were called out to assist and after completing their initial investigation, Calderon was arrested on charges of Assault with a Deadly Weapon, Burglary, and Sexual Exploitation of a Child. At this time, Calderon remains in custody.